Beth Moore has believed in God all of her life. She has been dedicated to teaching others to believe in Him as well. But as an adult, she came face to face with the single most important question as she meditated on a passage from Isaiah. 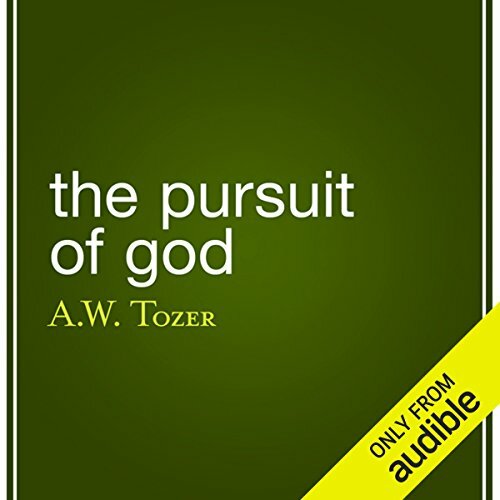 In a sense, Christian pastor Aiden Wilson Tozer wrote The Pursuit of God (1948) to pick up where the Bible left off. 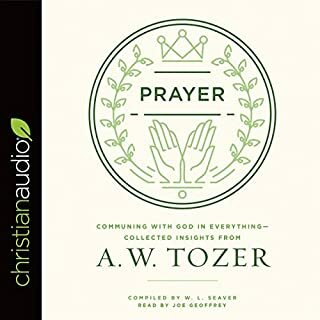 In this audiobook Tozer aims to teach faithful listeners the "art of worship". In a performance that evokes the friendly, heartfelt voice of a great pastor, Mark Moseley serves up spiritual guidance for Christians who seek to become more devout and to develop a closer, more personal relationship with God. 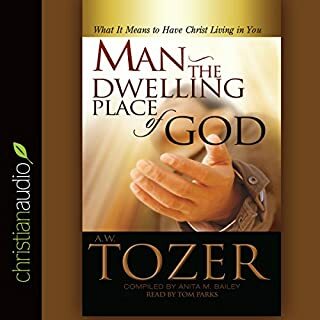 According to Tozer, "man must pursue God", and Moseley's sincere performance inspires listeners to do so. Perhaps one does not always need to visit a church to find a spiritual mentor. What made the experience of listening to The Pursuit of God the most enjoyable? The narrator did a great job with a great piece of literature!! This really is a timeless book for Christians. Please do yourself a favor and pick this one up. You will not regret it!! This was a theological book. The character would be God. What's not to love!! Quote: "When God breathed on clay, it became man. When God breathes on man, he becomes clay." You could. It's very inspiring!! I dearly love this book and recommend it far above most other books. It is a book of profound wisdom written by a man whose life was dedicated to the humble pursuit of God. There are only a few books that I make a habit of reading/listening to at least once every year, and this is among that selection of books. 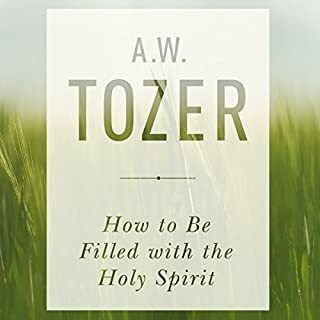 Much like Bonhoeffer, Tozer's theology is not one of hockus-pockus, miracles, magical rescues or voices in the night, promises of heavenly rewards or threats of punishments and damnation, not one of picnics, "pastor appreciation" dinners, or easter egg hunts, but rather a deep and abiding yearning for the everlasting goodness that is God--and again, not a longing borne of a seeking after the comforts of heaven or the avoidance of hell (a "cheap grace" as Bonhoeffer would say), but rather the full and complete wedding of oneself to the goodness of God and a willingness to suffer for that goodness and godliness- because one loves goodness and Godness and not for any other reason than that. In a world of shallow organized religion which never gets beyond the doling out of loaves and fishes (or donuts and coffee), this is a refreshing revisiting of a true spirituality--a love of God, because one loves the attributes of God--and for no other reason than that. If you could sum up The Pursuit of God in three words, what would they be? I have recommended this book countless times to those who are seeking a deeper more personal relationship with God. What was one of the most memorable moments of The Pursuit of God? I was struck by how current the text still seems despite being written for a previous generation. 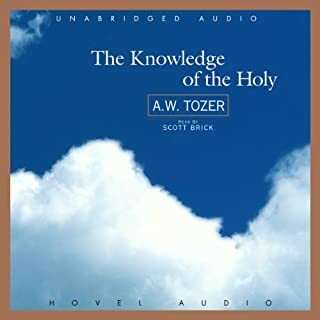 If you desire to follow God more fully you should read/listen to this book. 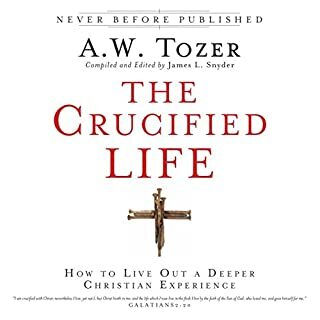 Although written several years ago, this book hits home when it comes to recognizing what it means to live a life seeking God. What does Mark Moseley bring to the story that you wouldn’t experience if you just read the book? After years of Bible study, following my new birth, I can say that this brief work resonates with God's Spirit within me more than any of the innumerable books about life and love I have encountered. I will read this again right away and often. Here is the next step in your growth. May God similarly bless you. As an excellent primer of the Christian life many of the issues with faith are addressed. The Pursuit of God seems better fitted for those who benefit from a rational approach than for those who are devotionally minded. I enjoyed listening so much that I also wanted a written copy of this so I could read certain sections over again. I ended up downloading a public domain version of the book for Kindle. One quote that struck me was in the preface, "It is a solemn thing, and no small scandal in the Kingdom, to see God's children starving while actually seated at the Father's table." Meaning that Christians want a deeper relationship with the God, but they don't know where to get it and this is not taught in church. This book was written in 1948. I don't know what was available for help back then, but there are hundreds of resources we can go to in order to develop a more meaningful relationship with God. All one needs to do is pick up a fork and start eating. A few good places to start are Henry Blackaby's "Experiencing God" or Avery T. Willis' "MasterLife" or even anything by Beth Moore, also John Yates does an amazing job sharing the entire bible in a course called Faith Bible Institute. None of this was available back then, but we don't have any reason to sit at the Father's table and go hungry. Pick up a fork and dig in! At any rate, this was a very good, little book and is definitely worth the time to listen. I enjoyed it, or elements of it. Its certainly preachy tho- if you're not down with god, you probably wont like any of this. It was all very uplifting. Do you think The Pursuit of God needs a follow-up book? Why or why not? 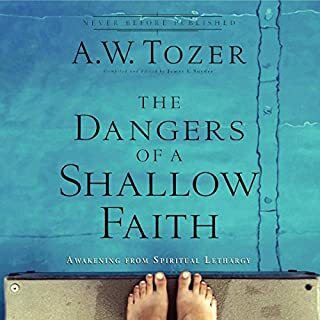 I did think the author put too much emphasis on surrendering yourself to god and holds little value in building for yourself here on earth, in a physical sense. but does a good job conveying a critical point of worship. the active pursuit of god. its good to remind yourself that god can be accessible to you, personally. overall a good work. started to lose my attention toward the end as it gets a little preachy, but that might be your thing. check it out if you're a christian looking for some inspiration or to renew your relationship with christ. You can get it for $1.99 if you download the free kindle version first! Great Deal! Essential for all Bible believing Christians, clear and to the point to help you get and stay on track in your walk with Christ.